Jennifer Amy has extensive experience consulting and coaching for development and personal growth in the global environment and complex cultural organizations over the past 11 years. She has designed and implemented large-scale programs focused on improving organizational philosophy as well as helping to incorporate changes in a multicultural world. Jennifer serves as Willowpath Consulting’s primary point of contact and liaison for Latin America. Jennifer has created many corporate leadership development initiatives for high potential employees as well as for emerging and seasoned leaders and executives. Jennifer has extensive experience in the design, development, and delivery of many skill building sessions. She has also demonstrated a significant level of creativity when developing solutions for on-boarding new individuals. She specializes in facilitating programs such as negotiation, leadership foundation programs as well as performance sessions at all levels. 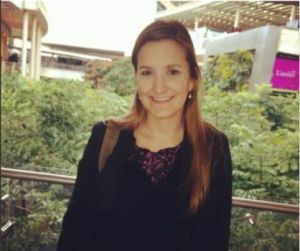 For Sabre, Inc. who serves customers in technology and tourism, Jennifer was an Organization and Development Leader for the Latin America Region for the past decade delivering solutions to real organizational issues as well as various courses for Sabre’s leaders globally. Academically, Jennifer holds a BS in Law (Lawyer) from UDE University, an MA degree in Organizational Development and Human Resources Management from UNINI University; is Myers Briggs Type Indicator qualified, and Franklin Covey certified. She fluently speaks English, Spanish, and Portuguese and is currently working on her Italian roots. She enjoys practicing Zumba, swimming and decorating. Jennifer and her husband Dario are proud parents of a baby boy. Her true passion is helping people ignite the passion within them, assisting them in discovering what they are good at and then taking that natural ability to the next level. For inquiries regarding Latin America, Jennifer can be reached at jennifer@willowpathconsulting.com.